Recently I’ve been reading Robert Cialdini’s new book about psychological tricks of persuasion Pre-Suasion1 and revisiting parts of his other book on the same topic, Influence.2 One of the major psychological levers of persuasion that Cialdini discusses is the principle of consistency: we feel pressure to act in ways that are consistent with our reputation, stated intentions, or past behavior. It sounds simple, but it can be very powerful. Consider one study where researchers called people on the phone and asked them if they intended to vote in an upcoming election.3 Everyone said yes. Not surprising given that people don’t generally want to say that they plan on shirking such a civic duty. But what was surprising is that when the researchers went back to the voting rolls to verify such claims, they found that the subjects who said they were going to vote actually did so much more often than those in a control group. Because they wanted to be consistent with their stated intentions and behaviors. It’s a trick that I saw being used frequently in the 2016 U.S. Presidential election, as well. Hillary Clinton’s party, for example, directed visitors to iwillvote.com. 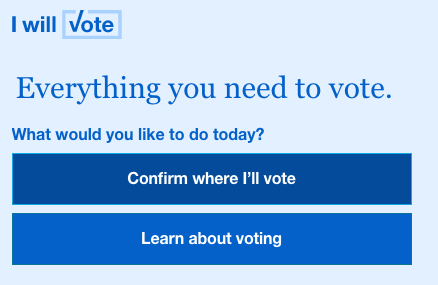 The website not only provided information on how to vote, but asked them to click on a button labeled “Confirm Where I’ll Vote” which can be read (consciously or not) as a pledge to get out and cast a ballot. Other researcher has shown that honesty can be increased simply moving the part of a tax form where the user signs his/her name next to a statement along the lines of “I promise that all the information I provided here is true.” Moving this signature line from the bottom of the form (where users encounter it after they have filled out the form) to the top (where they encounter it before filling anything out) increased their honesty.4 Even if you’re exhibiting consistency only to yourself, the effect is still there. Some of the gamblers didn’t speak English or told the nosey little men to get lost. But most of them happily responded to a simple question: “What chance do you think the horse you are going to bet on [or have just bet on] has of winning this race?” The bemused race track patrons were to answer the question with a scale including anchors for 1 (“Slight”) to 3 (“Fair”) to 5 (“Good”) to 7 (“Excellent”). Knox and Inkster found that something in the few seconds between heading for the betting window and walking away from it had a big impact on the gamblers’ perceptions of how awesome a horse is. It didn’t represent a gigantic change, but just the act of putting down two dollars on a bet was enough to change people’s opinion of a horse from “fair” to “good.” What had happened in those few seconds, of course, was that the gamblers had committed themselves to a horse by placing a bet. Pooled money or experience point systems in MOBAS like Heroes of the Storm. I agree that these are great things for game designers to experiment with because of the consistency principle of persuasion. If we or our character do something helpful in the game, we may be more likely to want to be consistent about that kind of behavior going forward. If a game asks us if we will help other players or exhibit sportsmanship, we may be more likely to do so. If our character automatically compliments another player, we may be more likely to follow suit in voice chat or text chat. I’d love to see research testing this kind of thing. 1. Cialdini, R. B. Pre-Suasion: A Revolutionary Way to Influence and Persuade (2016). New York, New York, USA. 2. Cialdini, R. (2009). Influence: Science and Practice. Boston: Pearson Press. 3. Greenwald, A. G., Carnot, C. G., Beach, R., & Young, B. (1987). Increasing voting behavior by asking people if they expect to vote. Journal Of Applied Psychology, 72(2), 315–318. 4. Mazar, N., Amir, O., & Ariely, D. (2008). The Dishonesty of Honest People: A Theory of Self-Concept Maintenance. Journal of Marketing Research, 45, 633-644. 5. Madigan, J. (2015). 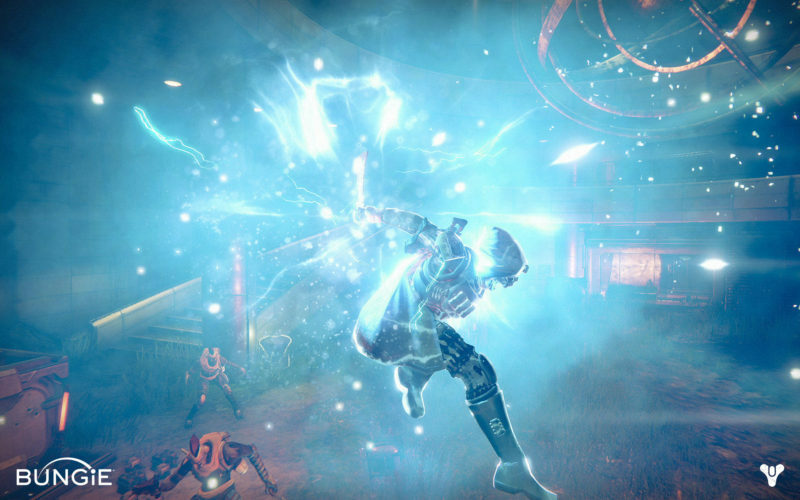 Getting Gamers: The Psychology of Video Games and Their Impact on the People Who Play Them. New York: Rowman & Littlefield. Yeah, that’s right. I cited my own book. So? Big whoop. Wanna fight about it? 7. Click here to watch Dr. Lewis-Evans’s talk. Also noteworthy: I had him on an episode of my podcast once. Curious Idea, and I think this might help build rapport in games like League of Legends where the Toxic Community is one of the things that often scares people away. I wonder if you could build teamwork Mastery / achievements into the game the same way we build them in for individual characters.